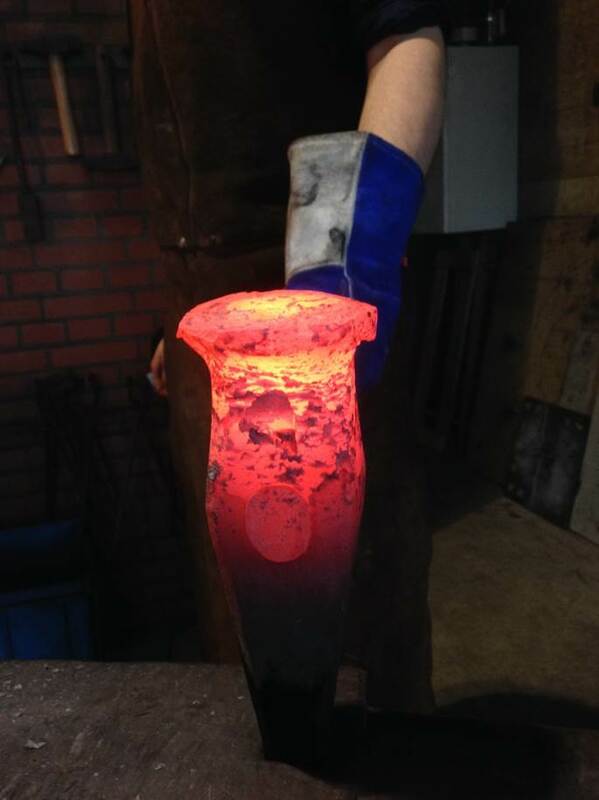 Forging a beating hammer. Photo: Smederij Berndt. Pictured above is a custom made beating hammer we will be using for my upcoming 18th C. French binding class in the Netherlands. 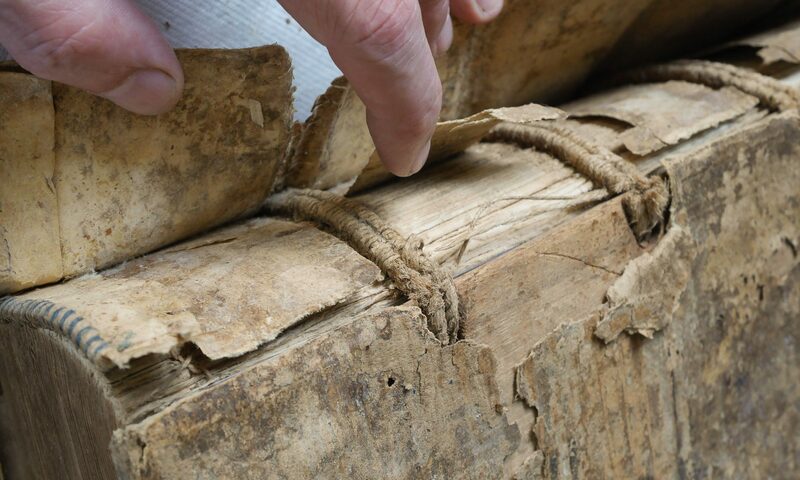 Using a historic tool, or a replica of one, is an invaluable exercise for book conservators. It increases the ability to interpret subtleties of how a book was made. 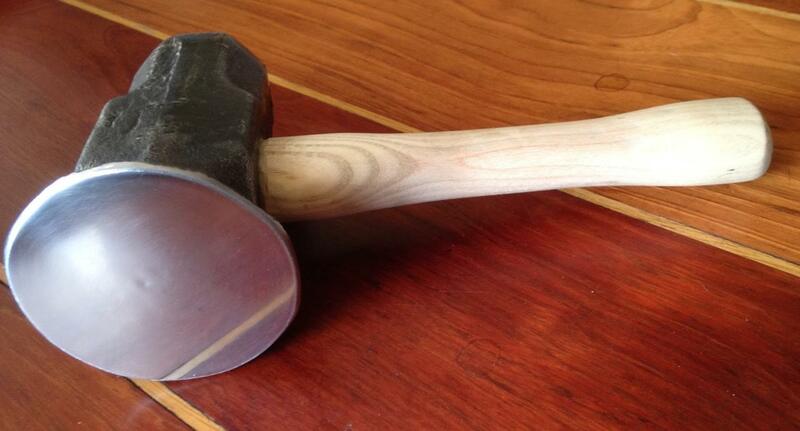 Beating hammers, for example, once ubiquitous, have been obsolete for almost 200 years. Using one in this workshop is usually a new experience for participants. In addition to the cathartic thrill of beating a book with a gargantuan 14 pound hammer, it helps us to understand the complexities of leaf morphology and textblock undulations. Thanks to Smederij Berndt, the blacksmith, for taking the time to make this great looking tool. I can’t wait to give it a swing, that is, if I can lift it! The finished hammer. Photo: Smederij Berndt.